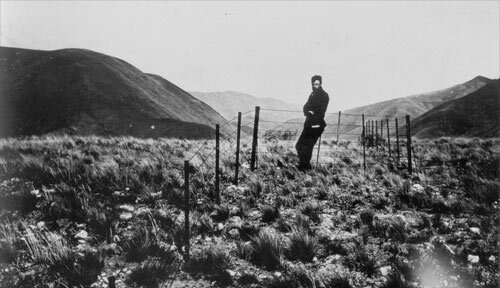 The 1888 earthquake caused a 2.6-metre horizontal offset on the Hope Fault, visible in this fenceline at Glynn Wye. The fence has been re-strung, but the posts have not been moved. This photograph appears to be the world’s first to show horizontal fault movement caused by an earthquake.